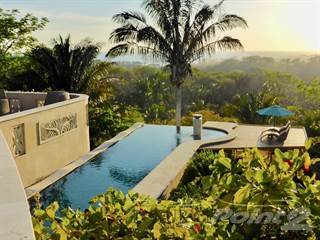 Searching homes for sale in Nosara, Guanacaste, Costa Rica has never been more convenient. 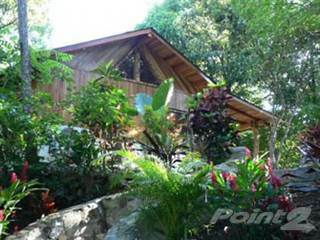 With Point2 Homes, you can easily browse through Nosara, Guanacaste, Costa Rica single family homes for sale, townhomes, condos and commercial properties, and quickly get a general perspective on the real estate market. Point2 Homes gives you far more than a simple list of houses for sale. Get instant access to loads of relevant information about Nosara, Guanacaste, Costa Rica real estate, including property descriptions, virtual tours, maps and photos. If you like a house for sale and you want to speak with a professional, simply contact the listing agent right from page of listing details. 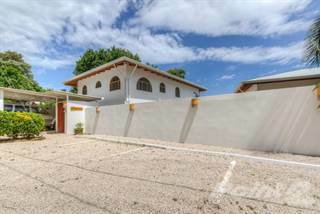 Or if you want to talk to an agent before anything else gets done, you can click the Tools tab and Find an Agent – you get a list of real estate agents in Nosara, Guanacaste, Costa Rica, all ready to give you top-notch professional advice on house prices and more detailed information about your target area. Use the map view to find homes and apartments for sale based on amenities and features in Nosara, Guanacaste, Costa Rica that you may want close by. You can select your preferred area or neighbourhood by using the radius or polygon tools in the map menu. Filter among the 111 listings in Nosara, Guanacaste, Costa Rica, based on real estate price drops in the past six months, so you’ll never miss a bargain. Get new listings in your inbox, daily or every week, based on your preferences, by simply saving your searches. All it takes is two clicks. Located along the southwestern coast of the Guanacaste province in Costa Rica, Nosara is a community of around 6,000 people. It covers 134.92 square kilometres near the communities of Ostional, San Juanillo, Playa Garza, and Barco Quebrado. The town is home to one of the oldest ex-pat communities in the area and has experienced a resurgence in popularity due to a number of yoga retreats and schools in and around the town. The ex-pat community is fairly large here, and both English and Spanish are spoken. Nosara is also known as one of the top surfing destinations in the world, as a nearby beach has waves that can be ridden for about 330 days out of the year. The town and surrounding area have fewer paved roads than some of the nearby communities do, providing a somewhat more rustic and laidback feel to the community. Nosara is surrounded by dense forest, much of which is protected by law. Many ex-pats who live here tend to be health-conscious, so there are many businesses catering to a healthy lifestyle, such as yoga studios, organic restaurants and cafes, and wellness retreats. Highway 160 is the only major roadway running through the community, and although the town has a small airport, most people travel to the area via the Daniel Oduber Quiros International Airport in Liberia. Yoga was one of the first activities attracting tourists to the area, and today there are numerous studios and retreats to choose from that offer options for beginners and experts alike. Multiple-day retreats, single-day classes, and teacher training are various options provided to visitors and locals, and styles include Vinyasa, Acro, Kundalini, and surfer-specific yoga practice. Some classes are taught outdoors to allow students to enjoy the natural beauty and serene atmosphere provided by beach areas or the forest surrounding the community. Some of the yoga studios operating in the area include the Nexus Institute for Yoga & Wellness, Costa Rica Yoga Spa, Bala Yoga, The Healing Centre at the Harmony Hotel, and Bodhi Tree Yoga Resort. Another extremely popular activity in the community is surfing, with people from around the world flocking to the area to enjoy the fantastic waves. The warm, clear blue water invites everyone, from beginners to experts, to experience the thrill of riding the consistent waves here. There are many surf schools operating in the community, providing expert training to ensure students have a safe and exciting experience. The friendly instructors share important information on things like how to know which waves to ride, which boards to choose, what the proper surfing techniques are, and how to stay safe when in the water. The period between November and August is considered the best time to enjoy surfing in Nosara. Some of the surfing schools found in the area include Cacho’s Surf School, Safari Surf, Agua Tibia Surf School, and Moana Surf Resort. Tourism is the most important economic activity in Nosara, and most businesses are geared towards this demographic, although many also benefit permanent residents. Accommodations, restaurants, wellness retreats, yoga schools, surfing schools, tour outfitters, and other service providers make up the bulk of companies operating here. Many ex-pats open businesses while living in the area and employ locals and other ex-pats. Others work remotely via phone and internet for other companies or they run their own online businesses. Still other ex-pats are retired and spend their days (and money) enjoying what the community has to offer. Fishing has been and is still an important industry in the area, and there are also agricultural and cattle farming operations located near the community. Real estate is big business here, due to the demand for residential property for both residents and those looking to purchase investment properties that are rented out to tourists. The unemployment rate in Nosara is around 8%, which is similar to the country’s overall rate. Nosara’s northernmost section is the older town centre, which includes residential areas, a post office, accommodations, restaurants, shops, service providers, a pharmacy, taxi service, parks, churches, schools, spas, a police station, a small airport, and yoga studios. The central section of the community, referred to as Playa Pelada, is home to mostly accommodations, residential areas, parks and gardens, beach areas, tour outfitters, restaurants, shops, spas, fitness facilities, yoga studios, and service providers. Playa Guiones is the town’s southernmost section, and includes various accommodations, restaurants, shops, service providers, residential areas, beach areas, tour outfitters, parks, yoga studios, a tennis centre, and a wildlife refuge. Real estate can be found in most areas of Nosara, but can be expensive in some locations, due to the high demand for property here. Single-family homes can range in price from around $150,000 into the millions of dollars. Many homes are well-maintained and include various sizes of private yards. There are also single-family home options that are located in gated communities to provide an additional sense of security. Land in certain areas of the community can be high-priced, although there are some lots that are more affordable for those looking to build from scratch. Vacant land is common in many areas of Nosara. Prices for homes and land tend to go up the closer you go to the waterfront. Condos are not as common in the community, but are available, and prices tend to start around $250,000 to $300,000 and go up from there. Commercial spaces are normally geared towards service-based industries such as accommodations or restaurants, and many include living space in the same location. There are somewhat limited schooling options in the town itself, and these include Del Mar Academy, Rey de Nosara, Escuela Serapio Lopez, Academy del Sol Nosara, and Colegio Bocas de Nosara. Other schooling options can be found in nearby communities and include Junta Educacion Escuela Barco Quebrado, Escuela la Esperanza, Escuela el Silencio, Mareas Academy, and Samara Pacific School. There are no post-secondary institutions in Nosara, so residents must travel a little farther to communities such as Nicoya, Liberia, and Cañas to access options like Colegio Técnico Profesional De Nicoya, National Technical University, Colegio de Bagaces, UNED Centro Universitario Tilarán, Boston College, and Universidad de Costa Rica.